Our Chiropractors In The Whitehall Borough Area Welcome You! At South Hills Physical Medicine, we offer the natural, safe healing of chiropractic care. Many patients come to our office after experiencing an injury that has caused lasting pain. Our experienced chiropractors will establish a customized treatment plan to first get you the pain relief you need and a long term plan to heal the underlying cause of your pain. Our unique approach to care combines the talents of a Whitehall Borough area chiropractor, medical doctor, highly trained nurse practitioner and rehabilitation specialist. We are in-network with every major insurance carrier, and are preferred providers for Medicare and Medicaid. We are conveniently located in The Shoppes at Caste Village in Pittsburgh. Find out if chiropractic is right for you with no risk. Contact us now to book a free, no-obligation consultation. The staff and doctors are AMAZING! I love how they actually listen to my problems and they are very helpful! So glad I found them! I felt better after coming to you than anything else I’ve tried so far. Looking forward to my next appointment. Always willing to answer questions and thoroughly explain treatments. Sharp group right down the line! The level of pain in my neck and back has decreased remarkably since receiving adjustments and injections. Thank you Dr. Robbins. Excellent care that relieved my back and neck pain and improve my flexibility. 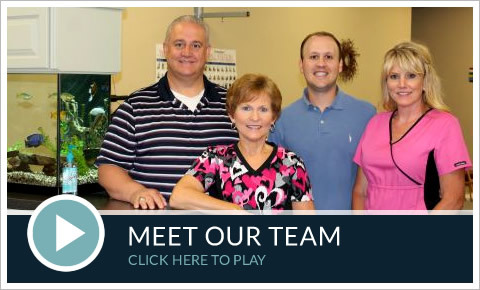 Your staff is superb through every aspect of the visit and Dr. Neil is fantastic. Thank you for getting me back to my daily Mom grind so quickly.